Complying with full frequency response of 0.05 Hz. to 150 Hz. as stipulated by American Heart Association. Enabling accurate computation of ST levels, assuring you of excellent correlation with angiography. Offering clean ECG without muscle tremor or 50 cycle noise. 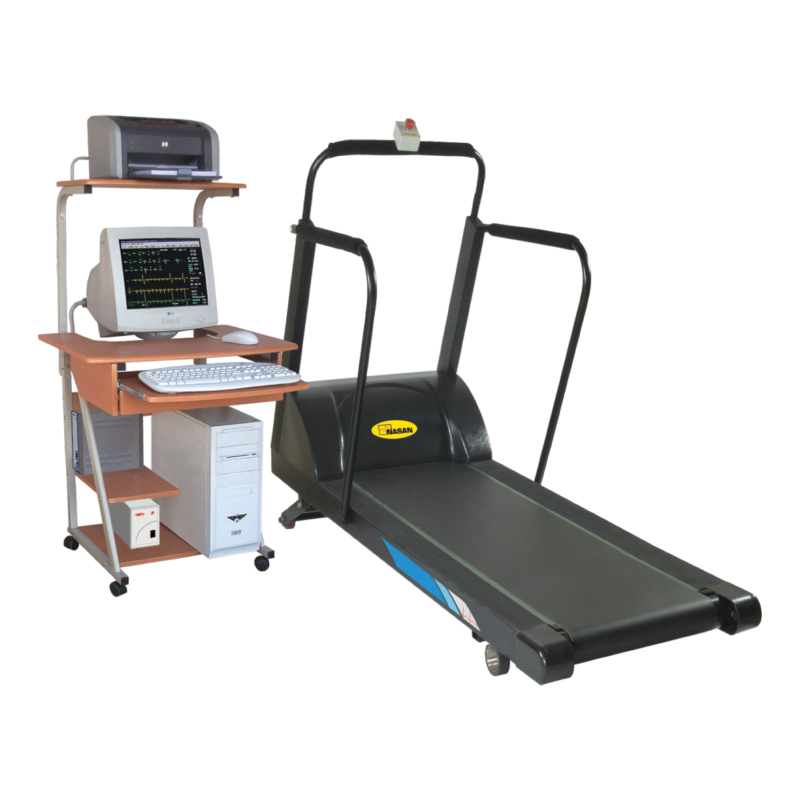 Our TreadStar-XP is the most elegant treadmill available in the market today. It has been designed using services of professional industrial designers trained at the NID (National Institute of design) who have used solid modeling software for structural design and modeling of TreadStar-XP treadmill. It accelerates slowly from a standstill and gradually gathers speed. It can handle patient weight up to 250 Kgs. Data can be reviewed beat to beat with full disclosure for each case. There is virtually no constraint on the number of cases which can be stored for review. In auto mode, the enlarged median having maximum ST depression is automatically selected and displayed. Enlarged median can be selected manually as well. ST - Win enables automatic computation of all ST parameters. All recordings taken during a test can be reviewed before printing. Medians can be refreshed at user choice of 1 to 8 seconds at 1 second interval. ST - Win is an advanced, Windows based stress test system incorporating a digital signal processor for rock steady baseline with excellent acquisition and processing of stress test data. This system offers high quality, clean ECGs with no baseline wander at high heart rates. It supports beat to beat full disclosure, arrhythmia detection and automatic and manual online printing. In automatic online printing, it is possible to configure and pre-select the reports required at any point in any stage and a report is printed whenever the pre-determined phase is completed.